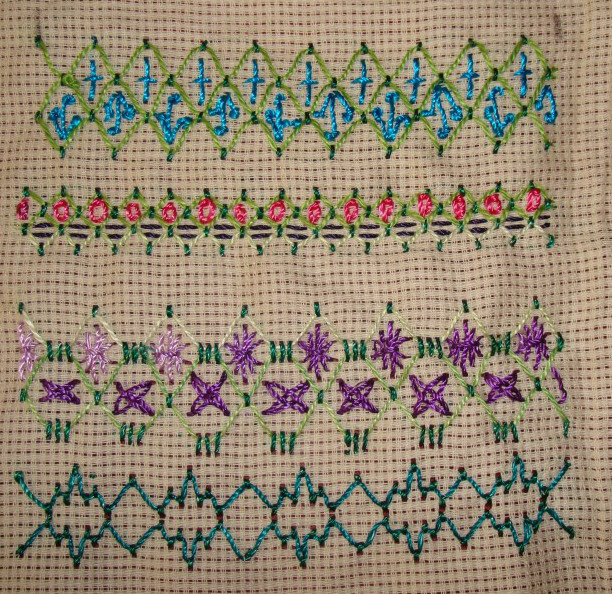 This week’s cloud filling stitch on TAST 2013 by SharonB was also part of the previous challenge. I worked this as line stitch then. 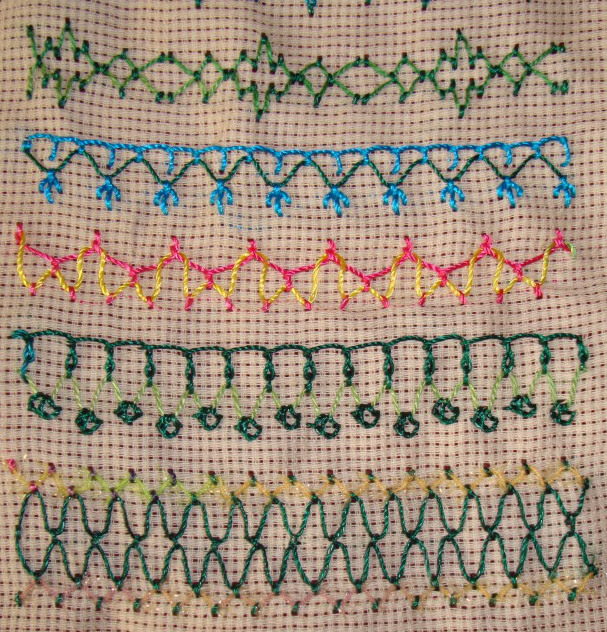 This is a very easy stitch. I wanted to start with some filling ideas. 1.Cloud filling stitch is worked with upright cross and pistil stitches. 2.Detached chain stitches and running stitches are used for filling here. 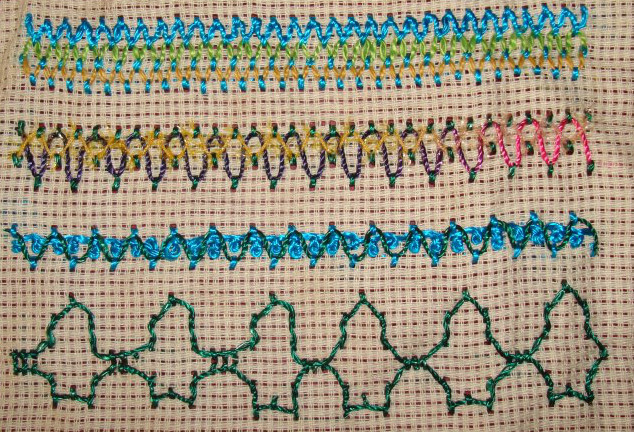 3.Sheaf stitches and woven cross stitches are worked in this sample. 4.A variation of cloud filling stitch is worked here. This was inspired by Florentine work.